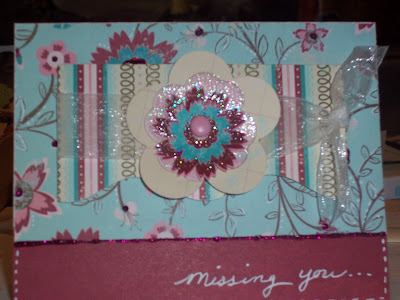 Creative Scraps by Peggy Lee: What I've been Working ON! 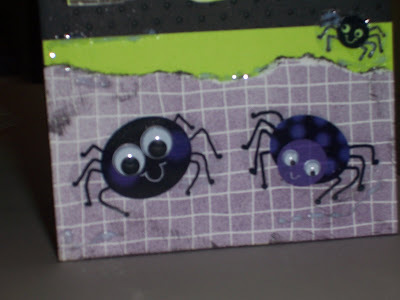 I don't normally make Halloween cards, but I picked up these cute little spider stickers from Walmart the other day and thought they would look cute on a card. Supplies: purple pattern paper, citrus leaf cardstock, BOO letters (stamps) and citrus leaf, black ink are all from Close To My Heart. Glitter is Martha Stewart. 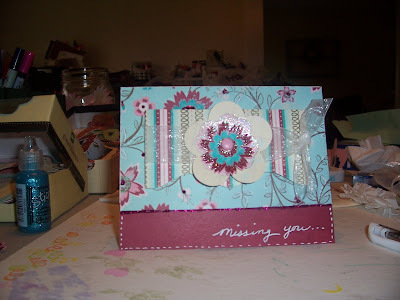 This is a "missing you" card I made this morning with scraps left over from a scrapbook layout I am working on. Supplies are pattern paper are (note)worthy from Making Memories, embellishment paper flowers are Making Memories, white ribbon and brad from local craft store. 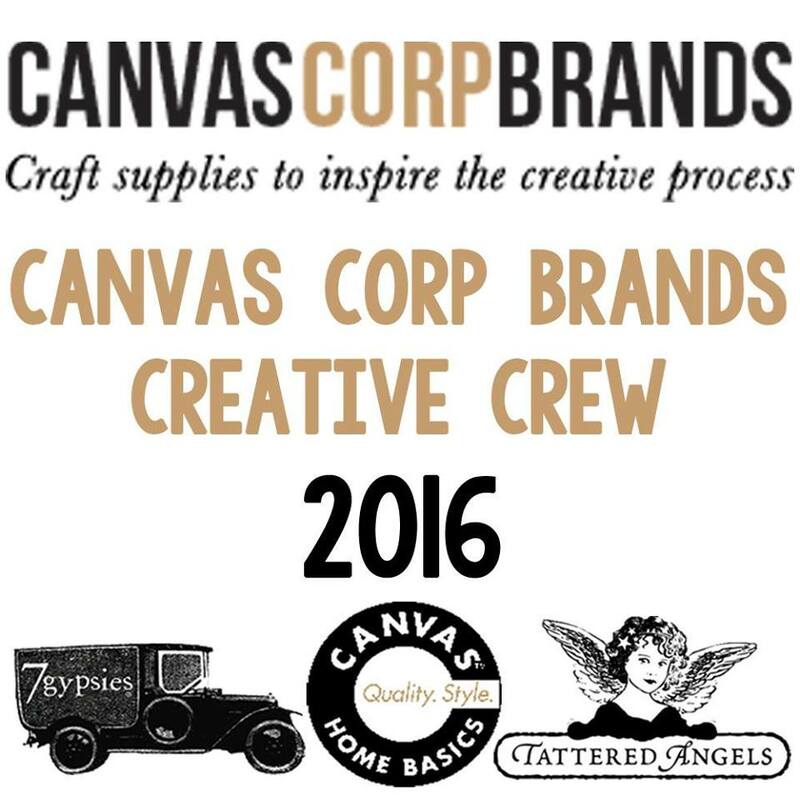 White gel pen and stickles for details. Hi Peggy ~ The stickers are really cute, aren't they? 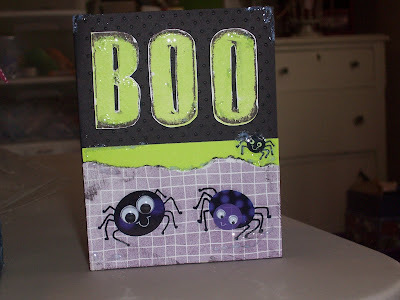 I used to belong to a card swap group and really enjoyed all the creative ideas for cards that I got each month. 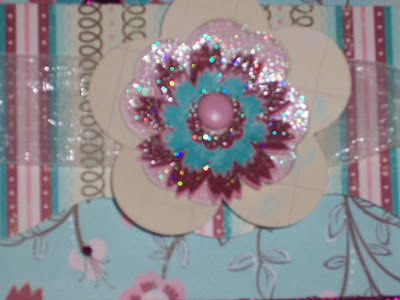 I eventually gave all the cards away to an elder care facility for them to use. They sure loved them and I sure enjoyed brightening their day. Hope you are having a lovely week! Thanks Eileen, giving is much better than recieving, so glad you shared the creative gifts with those who needed to brighten their day. Thanks for stopping by..